If you are a caring, patient, and understanding person who would like to help people with brain injuries to regains skills, you might like to consider volunteering at one of our centres. Our rehabilitation centres are busy, lively places, where our clients can access specialist support and take part in activities in a safe and friendly environment. 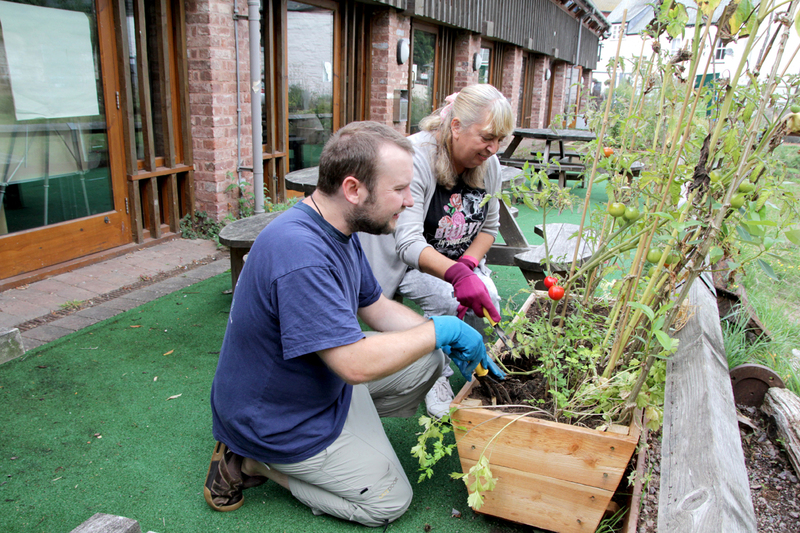 With centres open Monday to Friday, there are many volunteering opportunities available. Volunteers are a valuable part of the team at a centre, bringing new skills and discovering new talents along with the clients. There are monthly team meetings and volunteers have access to our training programme. We are also always on the look out for volunteers with skills and talents who are able to deliver complementary therapies to individuals and groups of clients. Workshops and courses are very beneficial for the people that we work with, helping them to improve their skills and their quality of life. 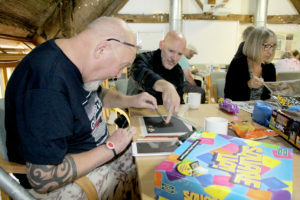 Potential activities are limitless but include silk painting, outdoor pursuits, drama therapy, printing workshops, music therapy, chutney making, laughter therapy and singing groups. Why not help us to raise essential funds by becoming a volunteer fundraiser? Every year we take part in many different fundraising activities, and the more help we have, the more money we can raise. Fundraising is most successful when the fundraiser is doing something they enjoy, so we encourage our fundraising volunteers to follow their own path. We urgently need individuals to take part in sponsored challenges and help us to organise community events in order to raise funds and awareness across the county. Whatever your skills and experience, we’re always looking for people who are passionate about improving life after brain injury to support us by joining our Board of Trustees. Our Trustees meet with our senior staff team every two months and are responsible for overseeing the management of the charity. We pay out-of-pocket expenses for all of our volunteers.